Greeting cards have many uses. Make thank you, thinking of you and birthday cards. And don't just remember them at Christmas and birthdays, you'll get maximum impact sending customers and prospects a card at other special occasions. Send them a card when it's important to them and get noticed. Or send them a card when it's important for you and get sales. Most importantly of all, ensure that at the very least your name is handwritten to demonstrate the time and personal effort that’s gone into sending the card. 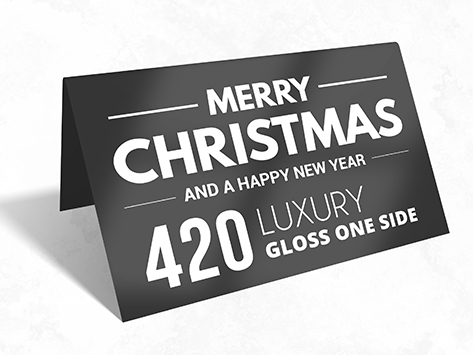 With our gloss exterior and uncoated UV cured interior, these greeting cards are perfect for getting your personalised message across.